The Paradiso collection by Roberto Grassie features dark maple eco-veneer with high gloss lacquer finish. 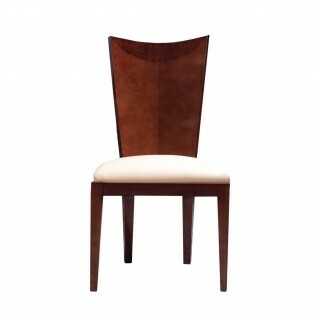 The Paradiso dining table uses the elegant curved lines to complement its oval shaped top and the pedestal oval base. 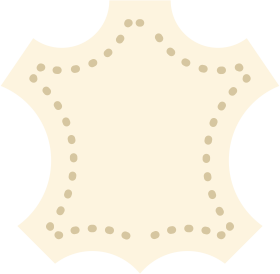 The dining is a perfect set up for 8-10 chairs. 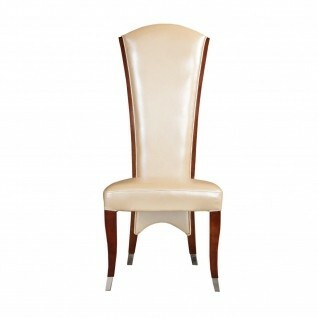 Width: 94.5" | Depth: 47" | Height: 30.5"
Giatorre dining chair has a solid wood frame with maple veneer details and high gloss lacquered finish, it is upholstered in a beige genuine leather. 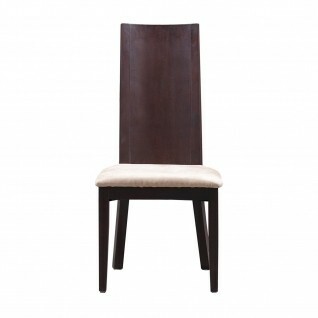 Elegant contemporary dining chair has solid wood frame in espresso color and upholstered in a beige microfiber.